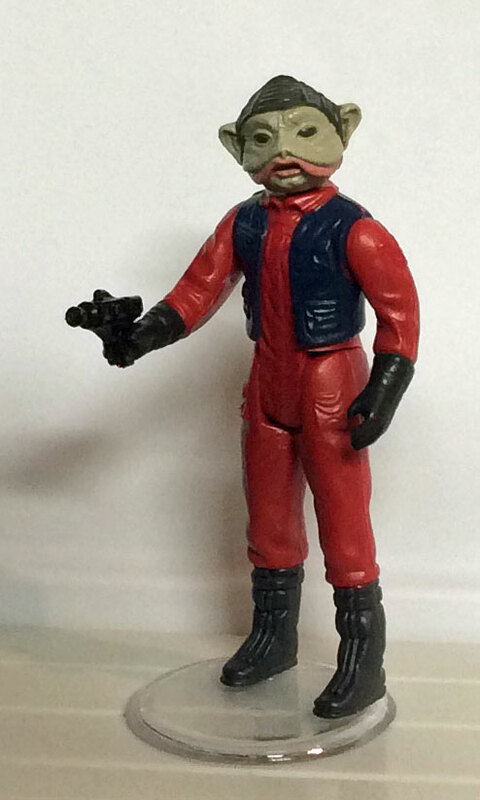 Nien Nunb, Lando Calrissian’s co-pilot during the attack on the second Death Star, was one of Kenner’s better additions to its Star Wars collection during the Return of the Jedi era. The sculpting still holds up pretty well over 30 years later and looked phenomenal next to some of the aliens made for the first movie’s toy line. Unlike many Return of the Jedi figures, Nien Nunb got a blaster so he could battle Imperial forces on foot if he wasn’t helping to fly the Falcon. 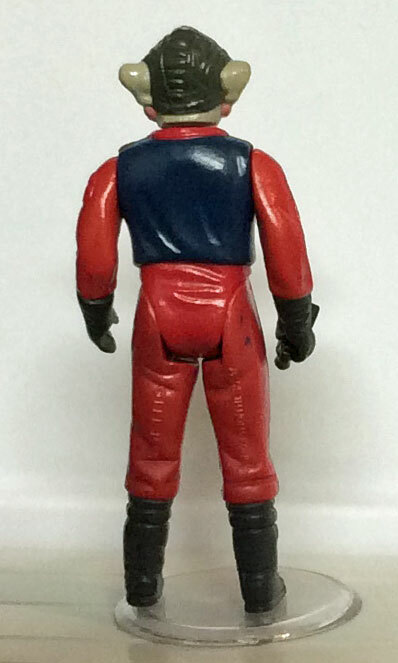 This is my original Nien Nunb figure, and he’s still in really good shape. There are some small paint rubs on his gloves and a couple of dark paint spots on his thigh, but otherwise he could be brand new. Actor and fencer Richard Bonehill portrayed Nien Nunb in the briefing room scenes, while puppeteer Mike Quinn played the character during his closeup scenes in the Falcon‘s cockpit. Bonehill, who also helped portray Ree-Yees, stormtroopers and rebels in Return of the Jedi and Empire Strikes Back, died this week. He was 67.